A cruel twist of fate would have it that the Ketsana Foundation’s library project be deferred to another propitious time. The unimaginable scale of destruction to lives and properties, the unfathomable depth of sorrows and pains, existential angst and social displacement of the victims which typhoon Haiyan had left required from us a reflexive change of plan and priorities. Even Switzerland had to defer some planned activities last November 18 by declaring this day a national fundraising day for the typhoon victims in our country. So every sensible individual and nation saw the urgency of the situation, hence, a shift in priorities. In keeping with Ketsana Foundation’s rule of thumb of helping the affected directly, two of its members will be going to these typhoon-ravished areas to give some families things they needed for their livelihood, such as fishing boats, garden tools, etc. Simply said, tools they need to start rebuilding their lives and immediate environment. We have decided, however, that only half of the total proceeds of the benefit concert last week would go to the south and the remaining amount for our library project in Bulan. This means, we have to organise another fundraising activity next year to reach the amount needed for this project. For those who may be reading this message and who feel the need to help Ketsana Foundation to finally realize this project, please contact us. Soon Ketsana Foundation will have its own website where we can publish in detail all our activities and report the financial status. This is in keeping with transparency and credibility for we know that those who want to help also want to know what happens with what they give. The benefit concert itself was a total success. Many people came that evening of November 21 in spite of the sudden snowfall which caused a little turbulence in the otherwise always orderly streets of Zürich. The pianist Dr. med. Robert Siebenmann did his best to make the cold evening a pleasant one for all with his warm and very personal rendition of Brahms and Chopin. The apero held at the lobby was opulent as many friends came with their home-made specialties like Christmas cookies, Glühwine, cake, sandwiches and wines. It was a crowd of medical people, of artists and musicians. I thank Mila, Elizabeth and Franklin Patricio and Madeleine Borel for their priceless help in making the event a success. Our biggest appreciation naturally goes to our pianist Robert Siebenmann for inspiring others to help and to all of our sponsors, friends and guests. Last but not least, our best appreciation and acknowledgement goes to our consul Miss Tess Lazaro (who delivered a nice spontaneous inspirational speech) and cultural attaché Irene Sadang for gracing this memorable evening with their presence. Photos of the concert to follow. For the meantime, we ask the children of Bulan to be more patient as we work more to realize our plan. Thank you and carpe diem. The Ketsana Foundation in Zürich which was founded by Franklin Patricio and Milagros Asuncion, with active members Jun Asuncion and Elizabeth Patricio, has organized another Benefit Concert in Zürich this coming November 21, 2013 which will be held at the Gemeindesaal Zollikon, Rotfluhstrasse 96, 8702 Zollikon, Zürich. This will be another classical piano evening which will showcase for a charitable cause the musical talent of Mr. Robert Siebenmann, himself a seasoned Swiss heart surgeon working at the world-class Hirslanden Clinic in Zürich. Convinced of our cause of helping young people develop love and passion for reading printed books, and impressed at how the Filipino pianist Mr. Cases played for the Ondoy victims last 2009 to help our medical missions in the Philippines, Dr. Siebenmann readily offered his precious hands to help us raise funds for our project of building a modest public library in Bulan for the young students. To add extra boost to the morale of the Swiss-Filipino friends who support this project, we have also invited our Philippine Ambassador in Berne Mr. Leslie J. Baja to join us this evening. With Dr. Robert Siebenmann’s precise and relaxed hands as a surgeon, an evening of quiet and relaxing classical piano music of Johannes Brahms and Frederic Chopin awaits us on the 21st of November for sure. We also invite friends of Bulan Observer from all over the world to join us and to help support this Library Project. Now, may I ask? 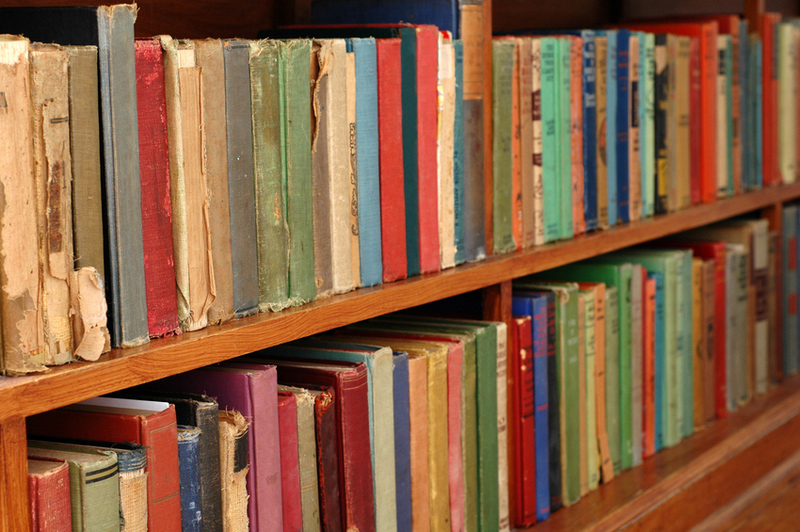 When was the last time you were in a library? Long ago? Not me, for I’m every day in a library, – in my mini library at home. Indeed, it’s such a special privilege or a luxury to have one at home where you can read and write undisturbed to compose your mind. In my library, I have written many articles for my blog. A library is very similar in a way to a Karate Dojo because it’s a place of quiet, respect and introspection; a place for working and of balancing your mind and body. The Roman Orator Cicero once said that ” if you have a garden and a library, then you have everything you need”. The same Cicero said that “We are not born, we do not live for ourselves alone; our country, our friends, have a share in us”, – kind words from a man who existed over a hundred years before Christ. It is in this context of garden, library and sharing that we felt moved to take Cicero literary and continue with this project of building a modest library in Bulan for those children who don’t even have a garden or a proper home. A library is a meeting place, a very democratic place where young people learn to know their culture. Hence, raising funds to build a library is building up culture as opposed to destruction of culture by cutting funds meant for public libraries as some government leaders do. There is a personal background to this library project. For it was once my plan to help a primary school in Bulan by sending boxes of books in English I have bought myself for their library which in itself is in a very desolate situation for lack of government funds. But on their way to Bulan, in 2009, these books were destroyed in Manila by a series of heavy floods that hit the Philippines at that time. Instead of replacing those books, my friends here decided we would rather send medicines and first aid materials to the victims in Bulan. Yet along the way we have never given up this library project in spite of the typhoons, floodings and earthquakes that batter the archipelago every year. But a noble dream remains just a dream if one does not act. We acted and that’s why we are gathered here tonight because we invited you to help us make this dream a reality. The fact that you are here tonight means you support culture and you feel that others have a share in you. One person who felt the same way even went beyond that for he volunteered also to play piano for us tonight. As a heart and vascular surgeon by profession, his duty is about saving lives of people who come to him with broken hearts in the true sense of the word, people who are between living and dying. The same hands and fingers that have saved people from dying will be playing the piano tonight and thereby saving a piece of culture in Bulan someday soon, – i.e., as soon as the library building has been built with a little help from all of us. My heartfelt thanks then to our pianist Dr. Robert Siebenmann, a heart surgeon with a heart for the less fortunate children, for taking with us the very first concrete step to realizing this library project, – where children living ten thousands miles from here may have dreamed of. 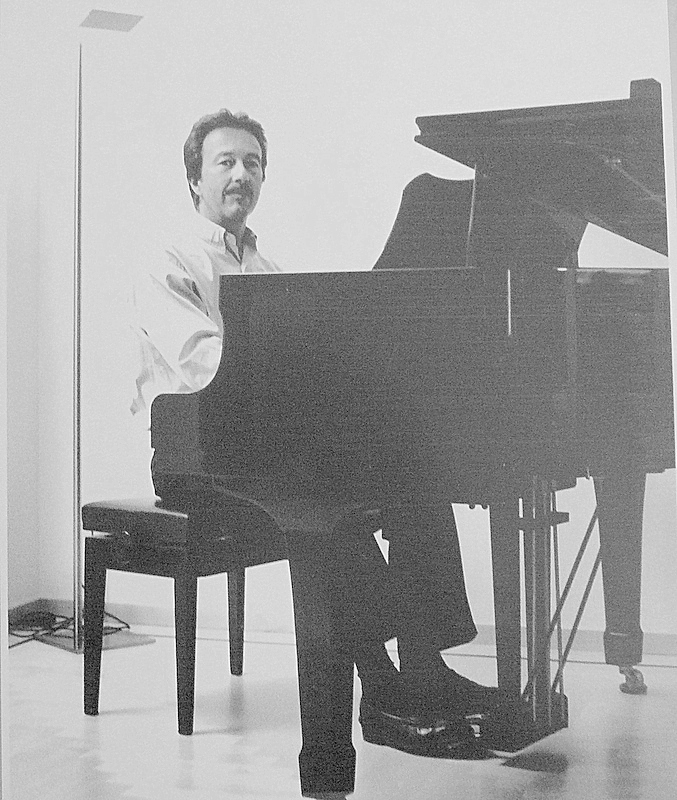 Robert Siebenmann began his piano studies at the age of 12 years with piano lessons at the music school and the Winterthur Conservatory with Emil Schenk. During his High School in Erlangen ( Germany ), he continued it with Karl Pratter. In addition to the study of medicine in Zurich , he took piano lessons with Alfred Ehrisman . The time-consuming and demanding training as heart- and later as vascular surgeon, had left him at times with little or no time for playing the piano, However, he had never given up completely to continue with his favorite hobby. But as a busy cardiovascular surgeon at the clinic Hirslanden he has but only on the weekends the time to practice and play . He feels honored to receive as an amateur the opportunity to play for a charity event in front of an interested audience. The main thing here is primarily to support a charity event, an event being organized now and then and with success by a group of Filipino nurses of Clinic Hirslanden and their friends. He asks the audience not to expect a professional performance yet he hopes that he is able to do justice to the music and to the composers..
LEGAZPI CITY—Public works and highways engineers in Bicol scored dismally in the most recent Civil Service Promotional Test conducted by the Department of Public Works and Highways (DPWH). The agency said not a single district engineer and assistant district engineer in the region’s 16 districts passed the test. A source who requested anonymity said of the more than 60 engineers who took the Oct. 1 promotional test, only 17 passed it. The test was held at the New Era University in Quezon City for Luzon-based engineers, Tacloban City for Visayas-based engineers, and Davao City for Mindanao-based engineers. The source, however, said he has no idea as to the passing percentage for all the examinees. The DPWH-CSC promotional test was first introduced during the stewardship of Secretary Gregorio Vigilar in 1997. It was a difficult test compared to the recently held test which had only 200 questions and multiple-choice answers that deals on management decision-making and technical aspect. DPWH regional maintenance engineer Antonio Saguinsin who also took the test confirmed that only seven engineers from Bicol had passed the test, saying Fermin Peteza who was the overall topnotcher in the 1997 promotional test was among the seven passers. Peteza is the current chief of the region’s Quality Assurance Unit holding a rank of Engineer V. Only those with the rank of Engineer III upward were qualified to take the test. The test is the basis for promotion to a higher rank similar to the criteria of the promotional test in 1997. But retired district engineer Manuel Saret who was among the passers during the 1997 test said that many DPWH engineers in Bicol who flunked the 1997 test were promoted for unknown reasons. A source from the Civil Service Commission said the 1997 test flunkers should have never been promoted. Saret said among the flunkers who was an engineer III at that time was promoted to district engineer in 2000 and is now among the division chiefs at the regional office holding an item of Engineer V.
Those who passed the recently held promotional test were Fermin Peteza, Benjamin Buitre, Eleanor Areola, Rebecca Roces, Marilou Sariba all from the regional office; Nilda Doloiras from Sorsogon Distrrict Engineering; and one from Camarines Sur District Engineering whose name has not been provided. DPWH regional director Danilo Dequito had earlier said that flunkers occupying the positions of district engineers, assistant district engineers, division chiefs, and section chiefs in an acting capacity and holding a rank lower than what is required will be replaced by qualified engineers. He said the criteria for promotion will be strictly followed, saying passing the Oct. 1 promo test is the first step. Dequito and his assistant regional director Jesus Salmo are reportedly Career Executive Service Officers (Ceso). But according to Mike Aguilar of the private construction industry, Dequito was not a Ceso when designated in Bicol in October when the Aquino administration was determined in terminating non-Ceso holders appointed by the Arroyo administration. Aguilar said Dequito became a full-pledged Ceso officer only last Sept. 30. The appointment of Dequito and Salmo in Bicol had caused the termination of regional director Danilo Manalang and assistant regional directors Oscar Cristobal and Jaime Martinez. “Other than the food, I miss the sights and sounds of Manila—the packed Sunday Masses, big family gatherings and going out with the ‘barkada,’” he said in an e-mail interview with the Inquirer. Putting the Filipino brand of leadership on the international spotlight once again, 49-year-old Esteban was recently appointed president of Seton Hall University (SHU) in New Jersey. Esteban had been serving as interim president of the oldest diocesan university in America and New Jersey’s largest Catholic university with more than 10,000 students before he was named to the post last December. Two priests in the running withdrew during the search proceedings, according to a New York Times online report. “As a Filipino, I hope I can serve as a reminder, along with all the other kababayan who have been able to advance themselves, of our potential wherever we are in the world,” Esteban said. His mother, Lita Munson Esteban, and his late Tarlaqueño father, Jose Esteban, were both educators. Esteban credits his upbringing for a leadership style that listens and nurtures. “Growing up in a Filipino-Catholic environment, I learned early on the value of building consensus, learning from past mistakes and failures, and most importantly treating everyone with respect and dignity,” he said. “In leading Seton Hall University, I hope to never forget something my late father used to say, ‘A great university is not made up of bricks and mortar, but people of great minds with good intentions,’” he added. Esteban’s appointment broke tradition based on SHU’s 25-year-old by-laws, where only Catholic priests were qualified to head the university. The university’s board of trustees adopted an exception to the by-laws a week before his appointment. Two other laymen had assumed the SHU presidency before Esteban, but his appointment was the first for a nonpriest since the university adopted its priests-only selection criteria in the 1980s. Esteban received praise from the university for his calming presence after the tragic shooting of 19-year-old sophomore student Jessica Moore near SHU in September last year, when he was still interim head. SHU officials called him the right fit for the job. Esteban finished a bachelor’s degree in Mathematics and a master’s degree in Business Administration at the University of the Philippines before taking up master of science in Japanese Business Studies at Chaminade University in Honolulu. He and his wife Josephine, a UP Economics graduate, came back to the Philippines in 1986, just as the country returned to democracy after 14 years of martial rule. He landed a job at San Miguel Corp. while his wife worked for the then Center for Research and Communications (now University of Asia and the Pacific). The couple later went back to the United States for further studies. “We had every intention of returning to the Philippines. In fact in the late nineties, I interviewed for and was offered a couple of faculty positions in the Philippines. As we were making preliminary plans to return, the Asian financial crisis hit,” Esteban said. “Upon deliberation and reflection, we realized that over the short to medium term we had better opportunities in the United States,” he added. But life seems to have come full circle for Esteban, as his connection to home has become even stronger with the position he holds. SHU’s College of Arts and Sciences is studying student demand for the Filipino language, which it previously offered. At the university, Esteban has also met several Filipino seminarians and students. “Seton Hall has a very active student group called FLASH (Filipino League at Seton Hall). We even have Simbang Gabi!” he said. As an SHU official, Esteban has also established institutional relations with UP, De La Salle University and its College of St. Benilde and Health Sciences Institute. “Since the establishment of relationships with sister institutions in the Philippines, I have been fortunate to be able to go to Manila almost every year for the past few years,” Esteban said. Visit Amado at Seton Hall University. Government should help ease the financial burden on families caring for children with special needs by allowing a deduction on a parent or legal guardian’s taxable income. Rep. Deogracias Ramos, Jr. (Sorsogon, Second District) said families with special needs children have different out-of-pocket expenditures than those with regular children. “We should help children, regardless of any difficulties or differences they may have, to fully realize their potential for development. By allowing a tax deduction on a legal guardian’s taxable income, we help families reduce their expenses and hopefully provide better care,” he remarked. The Department of Education’s Special Education Division estimates the cost for taking care of a child with a disability is at least double compared to regular children. Based on the 2009 Family Income and Expenditure Survey, Filipino families earned an average of P206,000 and spent P176,000 on the average. This translates to an average annual family savings of P31,000 in 2009. On a monthly basis, the reported average income was P17,200 and average expenditure was P14,700. Families in the bottom 30% income group reported an average annual family income of P62,000. Families in the upper 70% income group earned an average annual income of P268,000. On a monthly basis, the average income of the families in the bottom 30% was P5,200 while the upper 70% earned an average of P22,300. A child with a disability is understood to be one who is intellectually disabled, has hearing impairments (including deafness), speech or language impairments, visual impairments, serious emotional disturbance, orthopedic impairments, autism and traumatic brain injury. Rep. Ramos pointed out that families living in the provinces have a harder time getting an educational program and medical assistance suitable to the child’s needs. He said children with different disabilities are often grouped together rather than have separate classes for each condition. Children with a learning disability topped the list of special needs children enrolled in a public elementary school as of 2009. A total of 51,296 children were assessed as learning disabled, while the number of mentally retarded/intellectually disabled children stood at 13,119. Children who are hard of hearing ranked third with 12,039. For School Year 2007 to 2008, the number of enrolled children with special needs in public and private elementary schools stood at 92,429. This translates to a 27.6% increase compared to School Year 2004 to 2005’s total of 79,118. Many children no longer pursue secondary education or stay in elementary schools for an extended period of time. About Rep. Deogracias B. Ramos Jr.
Rep. Deogracias B. Ramos, Jr. represents the Second District of Sorsogon in the House of Representatives. The district covers Bacon, Gubat, Barcelona, Bulan, Irosin, Santa Magdalena, Matnog, Juban and Prieto Diaz. He currently serves as vice-chairman of the Committee on Natural Resources, Committee on Rural Development and Committee on Bicol Recovery and Economic Development. • 2009 Punong Bayan Award of Excellence from the League of Municipalities of the Philippines. The Congressman played a pivotal role in the establishment of the Bicol University – Gubat Campus. The awards and the creation of the BU – Gubat Campus reflects the Congressman’s commitment to Agriculture, Education, Health, Nutrition and Public Service. The search for the roots can never be a one-man undertaking even if given the time and the means to pursue it. It is a teamwork. For unlike writing an article on a particular theme, for instance, where one has an infinite resources available on the web or libraries, the search for one’s lineage is like an archeological adventure: the material is scarce and one is dependent on that factor that we call luck. Luck in finding the right spot on a vast space to start digging and luck if you meet the people who are working with you, not against you. You may have the complete tools that you need for this kind of work but without luck and this teamwork, you wouldn’t bump on the materials you are searching for that will answer the questions you have posed at the start of your quest. I’m for instance lucky and happy that the fundamental work on our family tree was done already by other relatives who worked hard together in gathering the data they needed. That’s teamwork. Now, my search focusses primarily on biographical details of our ancestors and in the future perhaps more on my own reflections on these. Big thanks, of course, to today’s internet technology which has made many things a lot easier for us, from transfer of ideas to transfer of digital documents. Indeed, a lot easier and faster. But still, your progress for this kind of work is still very much dependent on the materials you find or get from different sources, of documents that are relevant and could probably link you to another, or give meaning to the seemingly irrelevant material or even idea that you already have for long. So, as in any work in progress, your grasp of the whole subject is constantly adapting to the new materials that you are getting or even losing because of being proven to be wrong. Here lies the excitement of the situation, here is the excitement when you find luck, here is the joy of teamwork. One such excitements that occurred to me was when I got an E-mail with an attachment which I think the best E-mail attachment that I received so far in my yahoo career. The e-mail came from my cousin Sonny Rayos who lives in Texas and who has been very much ahead of me in his search for the Asuncion roots. He said that he also received this document from a cousin Gabriel Asuncion. The attachment is an article authored by the now Prof. Santiago A. Pilar about Justiniano Asuncion entitled The Loving Eye For Detail which is biographical sketch of the artist Justiniano Asuncion. I said authored by the now Prof. Santiago because the article was published 35 years ago in now defunct international magazine the Archipelago and that I don’t know if Santiago was already a professor at that time. I’ve tried to contact Professor Santiago to ask for his permission for the reprint of his article here in Bulan Observer but as of now I haven’t been successful. In any case. I consider it necessary not to let this article lay dormant for another decades before it will have its readers again. Indeed, for such a beautiful work, to risk being accused of copyright infringement is justified. But to the best of my estimation, a scholar in the caliber of Prof. Santiago wouldn’t lay about me if his work is appreciated for such a purpose that we have and within such circumstances. In this article, and in other documents I received from Sonny Rayos, a few but very important questions were answered or earlier concept disproven. Disproven was my original conception that our patriarch Mariano Asuncion wasn’t a mestizo. He was indeed a mestizo with caucasian features and a prominent one in the 19th century Sta. Cruz. One solid proof of this argument is the existence of a sketch of him rendered by his son Justiniano, the master painter himself. And my question that was answered through Santiago’s article was whether Justiniano ever visited his son Zacarias in Bulan. Indeed, the ageing father visited his son in Bicol and remained there until his death. But there is one big thrilling question here because Prof. Santiago mentioned another name of the town in Sorsogon which is Abueg, not Bulan which I expected. I thought for a while that Abueg must have been an old 19th century name for Bulan but my intensive net surfing rendered negative results. I really don’t know of any place in Sorsogon that bears this name today and in the last centuries. For the meantime I leave this issue open and just hold on to my assumption that this was a mistake until proven otherwise. Indeed, this is a work in progress. With more and more inputs coming from other relatives about who is who and from whose line and where, this time is opportune to start updating the Tree. Hence, I urge whoever is in possession of valuable material related to this work, blood relative or not, to share it to us so we can move on. Information of this kind should be passed around for it is not about you and me but for the future family generations to come and of continuing what Justiniano had started to pass around: His portraits of the Asuncion women, his drawing of his father and his self-portrait which unfortunately was destroyed by the roughness of times.